In reality this ship is not narrow, but I am pleased how on this photograph it does look slim and tall. 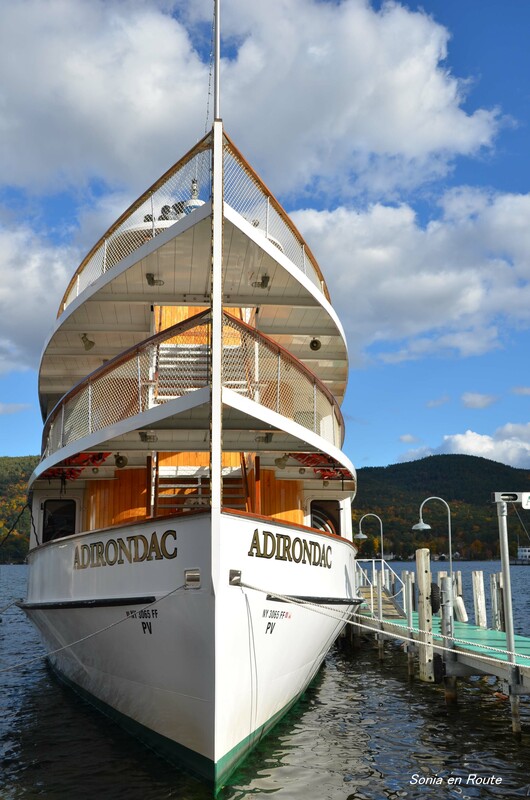 Adirondac takes passangers on boat trips on Lake George, in Lake George, NY. This photo was taken off-season, in October, and at the later part of the day, and there weren’t any passangers. It had been a cold weekend, but on that afternoon the sun broke out for a couple of hours and gave the impression of late summer warmth. The area of upper New York State is beautiful in late fall. If you are interested, you can also look up my impressions from the trip to Schroon Lake here , here, and here. My contribution to Weekly Photo Challenge – Narrow. Terrific choice. I thought about a ship photo as well. Interesting how narrow they look isn’t it? !